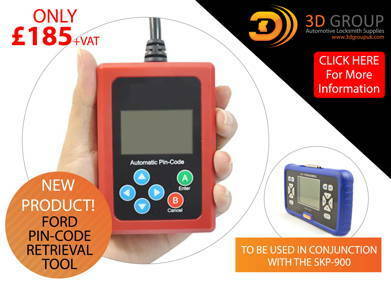 You are invited to Lockdecoders presentation of the latest technologies! You will have an exclusive opportunity to get to know our equipment, ask any questions you may have and expand your networking connections. Hikvision, the global leader in innovative video surveillance products and solutions, has won the CCTV Innovative Achievement category in the Detektor International Awards 2015 for its revolutionary DS-7600NI-E1/A All-in-One Security Terminal. Launched in March 2015, the DS-7600NI-E1/A looks like a simple monitor, but integrates video recording, storage, and display in one compact unit. Allegion, a leading global provider of security products and solutions, has worked with the ALOA Security Professionals Association to further develop the organisation's national training centre located in Dallas, Texas. 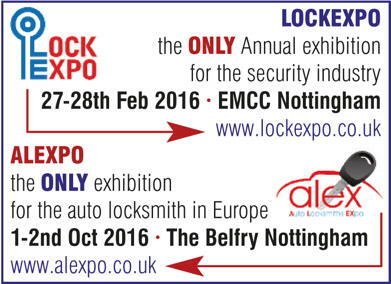 ALOA is the world's largest organisation for locksmiths and other physical security professionals. Through the collaboration, Allegion donated nearly 100 pieces of hardware, including Ives hinges, Schlage locks and cylinders, LCN and Falcon door closers and Von Duprin exit devices. Allegion's newest electronic lock, the Schlage NDE Series wireless lock, will be used to secure the classroom doors.